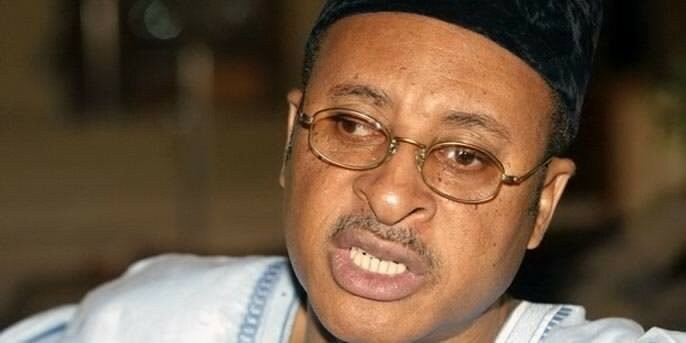 The All Progressives Congress, APC, Delta State governorship aspirant, Prof. Pat Utomi has said that his governorship aspiration was sparked by the level of poverty in the state. Utomi in a statement titled, “Why I am running for governor of Delta State” said his conscience over ‘hopeless’ state of Deltans in the face of abundance of natural and human resources in the state led to his decision. According to him, the Peoples Democratic Party’s administration is to be blamed for the rot of many years in the state. His statement reads: “If you have a conscience and you watch a people live a fate worse than death, then your spirit must verge on being broken. “Being a witness to crushing poverty lived by people across a small pond from oil production platforms, and being a witness and also a recipient of complaints from various quarters that family members continue to die untimely due to accidents triggered by the hardly motorable state of Delta roads leaves me with a feeling of despondence. However, I stand today to say that all hope is not lost. “The infrastructure challenges in Delta State dehumanizes our people, such that there is a plague of insecurity as Warri, like all other towns in the State fall into a pale of darkness after 7 pm, yet it comes with gas flares that brutally tease the citizens about the possibilities of how light can scatter darkness. “In addition, our environment has become so deplorable as to seem like a dustbin. As I travel across the State, my pain at the misery index has been heightened. It is easy to say philosophically that I am diminished by the death of any human being and the misery of our people. “In Delta State, my conscience kills me some more with the death from avoidable causes of every man, woman or child, due partly to poor healthcare in the State. Sadly, such diminishing of the dignity of man is commonplace in our State, and this may be what propelled various groups and individuals to urge me to join the race in order to restore hope to our people. “Why is Delta State the domain of poverty in spite of such incredible endowments, human and material resources? How does a state go from being the shining light of Western Region to one that poverty rules and desperation is etched unto the faces of citizens? “In the old Western Region which led Nigeria in innovation and people-oriented policies, the more admired entrepreneurs and civil servants were from the Midwest, out of which today’s Delta State is derived.